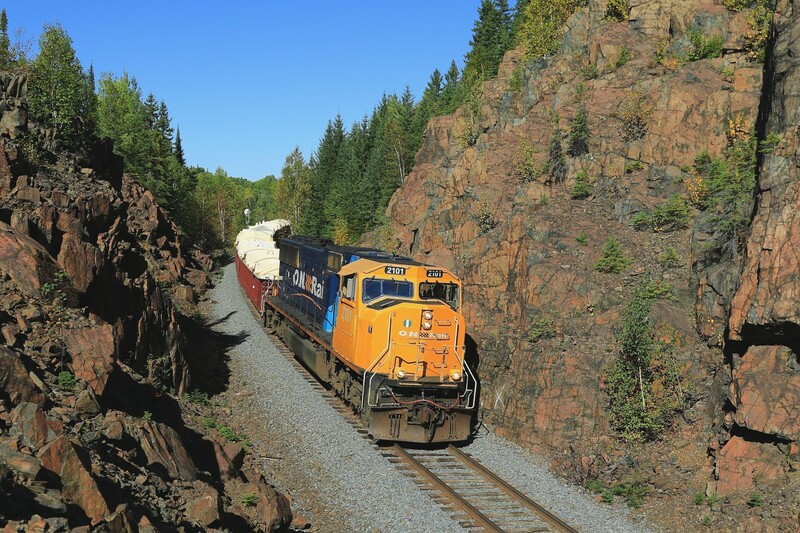 Railpictures.ca - Craig Allen Photo: Train 308 passes through the rock cut near Boston Creek as it makes its way back to Englehart on a lovely autumn afternoon. | Railpictures.ca – Canadian Railway Photography – photographie ferroviaire Canadienne. Caption: Train 308 passes through the rock cut near Boston Creek as it makes its way back to Englehart on a lovely autumn afternoon. Thanks! I’ll take your word for it about the bugs, lol – I remember reading about the swarms in one of your photo descriptions so I’ve always made sure to visit in the Autumn!